Christmas is a time where you can buy anyone almost anything and they’d be grateful, especially men. Most men will enjoy a cheeky little gift or a handy gadget rather than an expensive bottle of aftershave, so why splash out on something they won’t enjoy? Some of the best gadgets for men are the cheap ones, the ones which are hilarious in their own simple way. I have a complied a short list of what I think are the greatest inexpensive gadgets for men this Christmas. Getting comfy on a sofa can sometimes take a few attempts, but when you finally get comfortable, you realise you have left the remote on the other side of the room. What a nightmare, or is it? Maybe it’s just another excuse to use the fantastic Silverlit Heli Xpress RC Helicopter with a winch. 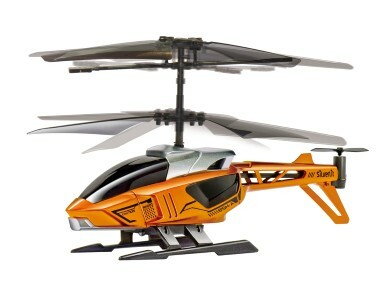 No man will ever have to get out of his chair when he has this clever RC Helicopter. With a steady hand and a good eye, you will be able to lift small objects around the house, just be careful what you transport! The sophisticated gyro system and contra rotating rotors work together to produce a smooth flying experience so don’t worry if you’re new to RC Helicopters. 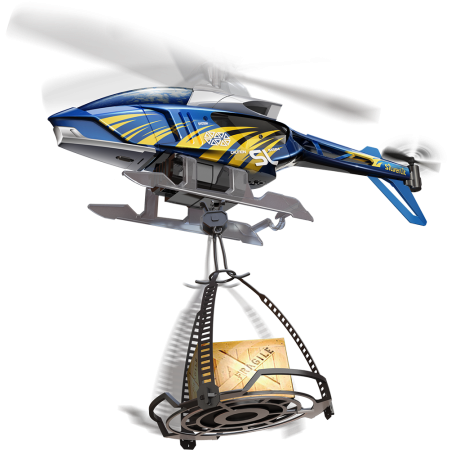 All in all, the Heli Xpress is a great gadget for any man this Christmas. 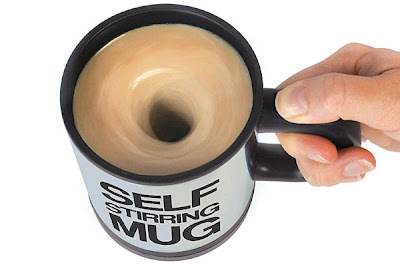 One of the best inventions known to man is the self stirring mug. Oh, you disagree? The mug may seem a bit useless but when you really think about it, how much time do you spend stirring a hot drink? Or moaning to your kids they didn’t stir the sugar properly? Any man who receives this as gift for Christmas will be ecstatic. The mug works very simple, just make a drink as you usually would and when you’re ready to stir, just press the button on top of the handle. Watch in amazement as your drink spins around all by itself. This mug is great for hot drinks, soups or even just water if you’re a bit quirky! So give the gift of a life time this Christmas, you’ll be amazed at how useful it can be. It’s a fact that most men enjoy a bit of toilet humour, whether it’s a harmless dirty joke or as extreme as putting cling film over the toilet seat. The Talking Toilet Paper Holder is the perfect little gadget for men who enjoy some toilet humour. This hilarious gadget allows you to record a 9 second long message, long enough to say something dirty, funny, scary or even just to tell someone you love them. When the unsuspecting user grabs the toilet roll, the holder will repeat whatever was last recorded. This unusual gift can be used in so many different ways, you could even use it to praise your child for using the toilet correctly, or telling your guests not to use the nice towels. However it’s used, this is a great Christmas gift. Lewis Morgan is a gadget and gizmos enthusiast, when he’s not at work writing about gadgets, he’s at home playing with gadgets. Lewis is really excited about talking about Christmas Gifts this year as there are some amazing new products.